It was exactly half-a-century ago that you walked into the Academy – young, carefree probationers of the 1969 batch – imbued with idealism and desire to change the country for the better. And in the ensuing years, you bonded together as friends for life. Professional and personal preoccupations may, however, have come in the way of your meeting with many of your old friends. And even if you did meet them, it may not have been with the carefree spirit reminiscent of the days in the Academy. 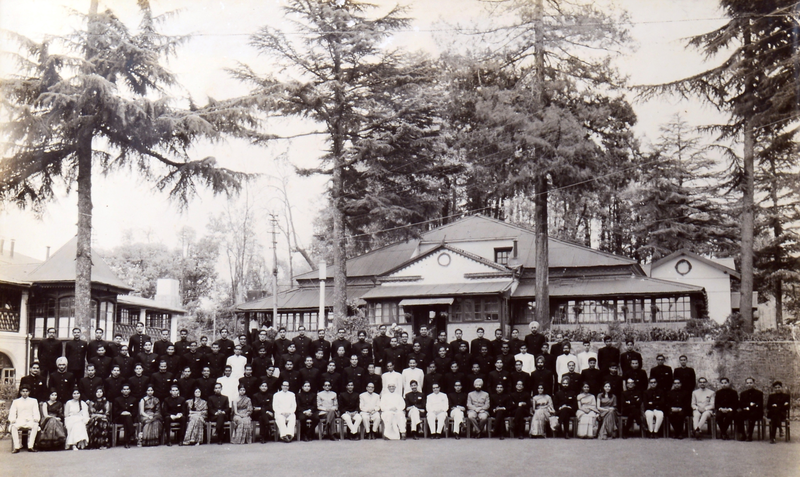 It is time to rekindle the same spirit of togetherness and bonding in the familiar setting of the Academy in the salubrious environs of Mussoorie. It is time to be young once again. We are delighted to announce the Golden Jubilee Reunion of the 1969 batch and invite all the seniors of that batch to join us along with their spouses. Shri Gokul Patnaik (gpatnaik@globalagri.com) is the overall Batch Coordinator for the Reunion. He has sent us list of 165 Officers from 1969 Batch (as the Academy does not have these records) . You may also inform other batchmates that you are in touch with, so that we may have a good attendance. The programme of the Reunion will be finalized in consultation with the coordinator. In previous years the programme has included, batch interaction, group discussions on topical themes, interaction in small groups with probationers (2017 batch of the IAS Phase-II will be on campus during those days), an outing for spouses and Reunion dinner. We will be posting the programme on the website by 30thApril,2019. Every Reunion batch also assembles a Memoir with articles and photographs. Shri Ashok Jha (ashokjha273@gmail.com) will be the editor of the memoir. You may send your articles to him along with photograph (the latest and the one at the time of joining). The Batch Coordinator and the Editor will finalise the Memoirs of the batch. Please contact them for any information required. We will make arrangement to pick you up from Dehradun (Railway Station or Airport) on Wednesday 29th May and host you for three days. If some of you want to spend couple of extra days in Academy we will make arrangements, subject to availability, on payment basis. The logistics details are given on the website. If you are planning to attend the reunion, kindly register on this website by 30th April 2019. You can update the travel details on the same page anytime till 19th May 2019. Mansoor H. Khan, Deputy Director(Sr.) is the Reunion Coordinator in the Academy. he may be reached at reunion1969@lbsnaa.gov.in, mansoor.hkhan@gov.in Mobile: 8475841566 . For any help regarding IT problems in registration, please contact Shri Zulfe Ali, 9410929557.